The story goes something like this. A Mexican restaurant somewhere in the central US makes and serves a salsa using the original, spicy Jalapeño pepper. A lot of people try it. Many of these people do not like spicy food at all. Maybe they are unusually sensitive to capsaicin. Maybe their bodies do not release the usual endorphins in response to spice. Maybe they just aren’t used to it. Regardless, there are people who do not like it, who ask for something milder. But they still want a salsa made with Jalapeños. This is the thing that puzzles me, and I’ll come back to it later, but for now we’ll accept this as a given: they do not like spicy food, but they want to eat a salsa – a mild, unspicy salsa – with Jalapeños. 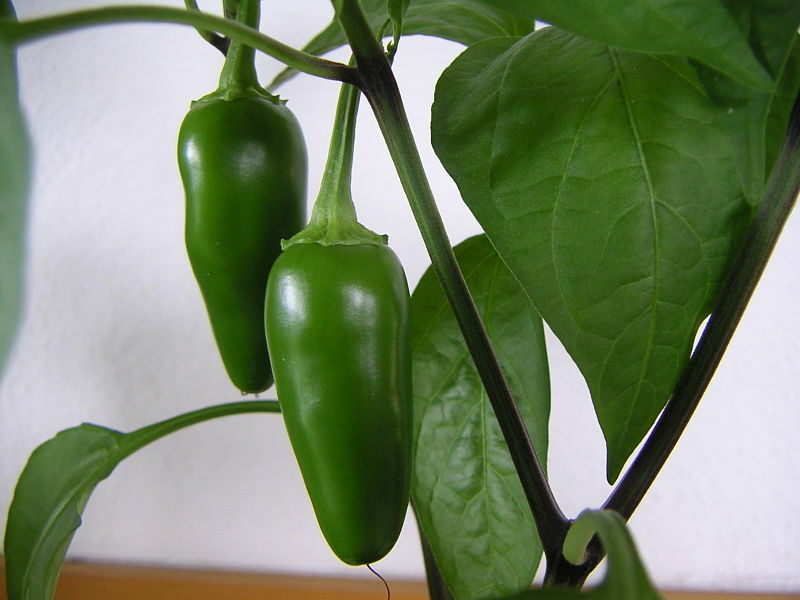 It would be interesting to see if bell peppers were used in in replacement of jalapenos if a non-foodie like me would be able to tell the difference. Perhaps not, though I am less sure than he (she?) is. As someone with diminished tastebuds, I crave spice. As much as possible, this side of the ghost pepper. So a part of me would be quite bummed if they ever do create a non-spicy pepper. (I’m surprised it’s that difficult. Isn’t it mostly like the jalapeno version of the seedless watermelon?) That was one of my huge complaints about Arapaho cuisine, they didn’t believe in spicing things up. On the other hand, it’s easier for me to add spiciness than it is for someone else to remove it. Give me a bottle of Sriracha or whatever and I can make it to how I like it. On the other hand, I whine bitterly when I am forced into alchemy. I like it when I get it exactly as I want it and don’t have to worry about it. I do wonder – particularly in Benquo is right about bell peppers being an identical non-spicy substitute – if it does say something about our culture or perhaps humanity in general . I mean, there is a certain familiarity with the notion of not wanting to be considered so weak as to have the jalapeno removed or replaced with bell peppers, and yet not wanting to admit to it for self-esteem purposes or somesuch. I think they already do have a low-spice jalepeno. I see in our local mainstream grocery jars of “mild” jalepenos. They are about half as hot as a normal one. Hot sauce is a great advancement on hot peppers, which can be painful coming out. I stopped using peppers for this reason. The other Mexican innovation I like is hot pickled carrot slices. Well, you can do a lot to defang a jalapeno just by taking out the seeds. The tricky part is to get the rest of it.